This series is over. The parade is next week. There were questions about the Red Sox’ starting pitching and bullpen coming into the playoffs. Once those questions were answered, no other team stood a chance. We’re talking about a 108-win squad that’s playing their best baseball of the season. Every guy who was going through a bad stretch or had a poor postseason track record has all of a sudden turned into the best possible version of themselves in the last few weeks, and they’re only getting better every game. If you had told me a month ago that David Price and Joe Kelly would dominate a World Series game to put the Sox up 2-0, I wouldn’t believe it. But those guys are nasty right now. Nathan Eovaldi is nasty. Ryan Brasier is nasty. Christian Vazquez and Jackie Bradley Jr. are getting key hits at the bottom of the order. Ian Kinsler is driving in runs. Mookie and J.D. are removing any doubt that their production would carry over into October. Rafael Devers is playing great defense at third and he’s hitting. Even Craig Kimbrel has been lights out in the first two games of this series. Alex Cora is managing beautifully and absolutely everyone is producing at a high level. It’s a privilege to watch and root for. The Red Sox are now 9-2 in the playoffs. David Price has won two postseason starts in a row after taking a decade to get his first. In Game 2 he went six innings and allowed two earned runs on three hits while striking out five. His only mistakes came in the fourth when he gave up back-to-back singles to David Freese and Manny Machado before walking Chris Taylor to load the bases. Two runs eventually came across on a Matt Kemp sac fly and a Yasiel Puig single, but Price got out with minimal damage and only a one-run deficit thanks to two key strikeouts on Enrique Hernandez and Austin Barnes. The next inning, the Sox’ offense helped him out by putting three more on the board and retaking the lead. 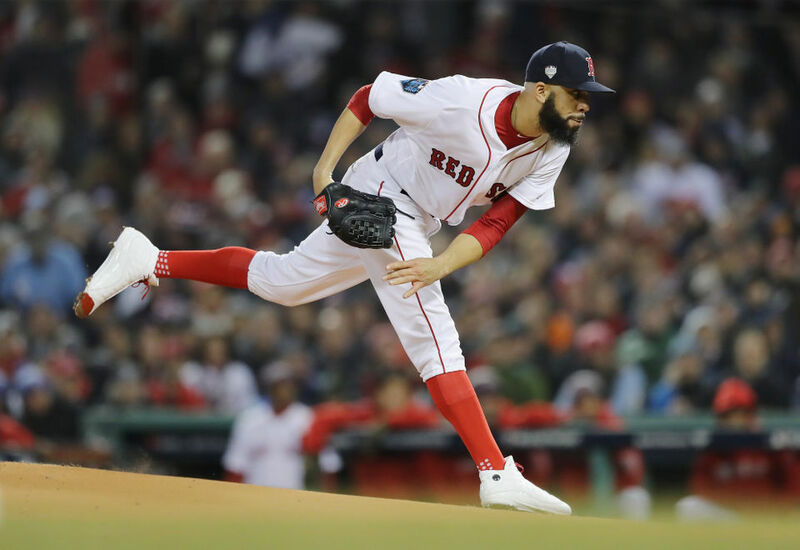 Unlike the old playoff David Price, the 33 year-old lefty managed to settle down and return to his groove, pitching back-to-back 1-2-3 innings before making way for Kelly’s 1-2-3 seventh, Eovaldi’s 1-2-3 eighth, and Kimbrel’s 1-2-3 ninth. All-in-all, Red Sox pitchers combined to retire the last 16 batters they faced. A 2-0 lead heading to Los Angeles. The Sox are undefeated so far on the road in the postseason. I originally said they’d win in 6, but I’d be shocked if this series made its way back to Fenway. There is nothing stopping this team.